$26 - In a dark dusty pink, this new girls dress is a design from Rylee & Cru as a part of their fun fall release. 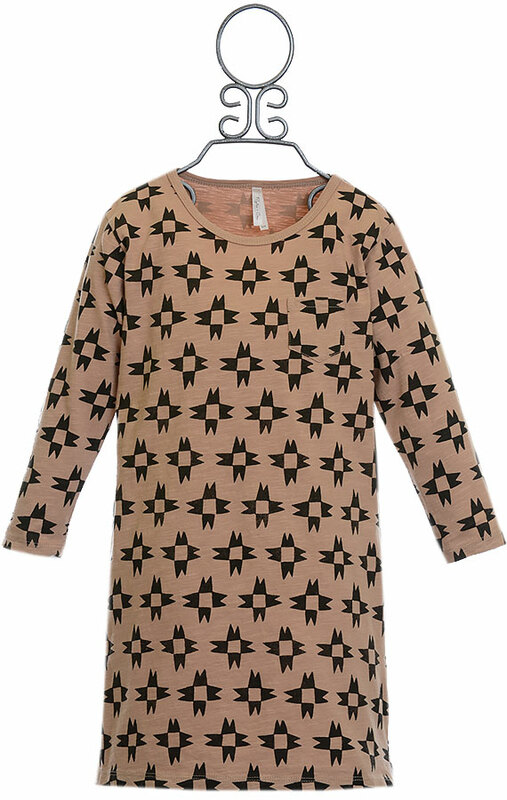 The dress is a straight, casual fit that makes layering leggings beneath a breeze. A single breast pocket is placed on the front. This knit is soft to the touch and covered with a large charcoal print. The print is inspired from the classic children's game of Jacks. The long sleeves add to her warmth and comfort. 100% Cotton. Machine Wash Cold Inside Out. Tumble Dry Low. Do Not Dry Clean!